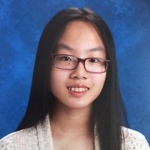 Victoria Feng, Editor-in-Chief, is a seventh grader who loves reading and writing. 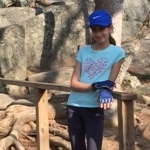 She is a kid reporter for the Scholastic News Kid Press Corps, and has interviewed public figures like Congresssman Karen Handel and former CDC Director Anne Schuchat. 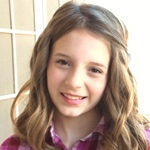 She has also been published on jaBlog!, in a Creative Communications anthology, won a Scholastic key, and previously worked in the Creative Kids book review program. Victoria also likes math and is in ninth grade math. She serves as her school’s Future Business Leaders of America and has won in multiple events for Region and State and is Student Council President. Allison Stein, Editorial Advisor and Past Editor-in-Chief, strives to use her words to forge connections between hearts. She is the author of the poetry chapbooks Summer Sensations (2013) and Spring Fever (2015) with her newest book, Trust the Wind, forthcoming in spring 2017. 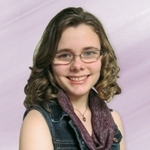 Allison’s work has been featured in six America Library of Poetry anthologies as well as the Poetry Society of Michigan’s collection Water Music (2016). Also passionate about editing, she has copyedited Janis Stein’s book Hometown Heroes, published in 2016. Allison shares poetry, writing tips, and inspirational messages on her blog at www.steinexpressions.com. 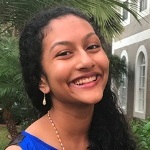 Sarina Patel, Jr. Assistant Editor and Comic Hub Co-Editor, has won 9 Royal Palm Literary awards, 2 Candice Coghill awards, 1 Honorable Mention in the New York Times’ January 2018 student contest, 1 Honorable Mention in the 2017 Florida State Poets’ Association competition, and 1 Honorable Mention in the 2017 Hillsborough Council of Teachers of English Writing awards, among others. She has had her work featured in MENSA, Amazing Kids!, Teen Ink, Creative Communications, FWAVine, The Scepter, Khaas Baat, and the Hillsborough Council of Teachers of English. Hailed by former Children’s Poet Laureate Kenn Nesbitt as a “marvelously talented young poet”, Sarina published her debut poetry book Spoet in 2015 and will publish another poetry book in winter 2018. Sarina recently graduated from summer multimedia programs at the Poynter Institute for Media Studies (2017) and Nova Southeastern University (2018). She serves as a Comic Hub Co-Editor and Jr. Assistant Editor at Amazing Kids! (where she interviewed Sal Khan of Khan Academy), a MENSA YM2 Staff Writer, and formerly served as the Features Editor of the nationally recognized newspaper at her previous school. At school, Sarina serves as the founder and Editor-in-Chief of her school newspaper, Vice President of Future Business Leaders of America, Program Oral Interpretation captain of Speech and Debate, and member of the new Diversity Task Force. Outside of school, Sarina composes on the piano, violin and laptop, speaks multiple languages, and pushes for the education and nourishment of Indian children as an active youth ambassador on the national youth leadership council for a nonprofit organization called Akshaya Patra. 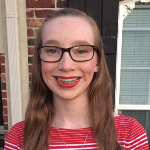 Jordan Brunk, Amazing Kids from History Editor and Contributing Writer, is in tenth grade. She is a devout Christian and thoroughly enjoys reading and writing. She likes to write poetry and short stories and she is currently writing a Christian novel. When she goes to college, she wants to study to become an editor and writer. 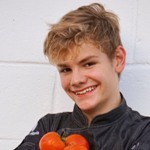 Jordan has been published twice in Teen Ink magazine and in Amazing Kids! Magazine. She has also participated in and won an annual writing contest where she lives for three consecutive years. Besides writing, Jordan likes to volunteer at her Church and for the Pet Adoption League. She likes crafting things and is involved in school clubs. She plays the viola in her school orchestra and is a member of JV Winterguard. 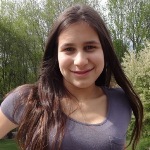 Sophie Nadel, Writer’s Tips Editor, is in 10th grade and has been writing since she was in kindergarten. She has been published in several online magazines (including Amazing Kids!) and has won local and national awards for her writing. She is the founder and president of her school’s creative writing club. In her free time, she enjoys reading, playing video games, and watching anime. Sophie also performs improvisational comedy, teaches English as a second language, and volunteers at a local nature preserve. 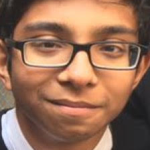 Aryaman Sheth, Fiction and Photography Editor, is a student in the 11th grade in Mumbai, India. He is an avid reader; his favorite authors are Sidney Sheldon, John Grisham, and Jeffery Archer. 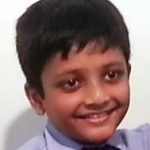 Aryaman has been published in his local paper as a writer and a photographer. 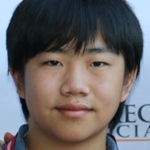 His favorite things to do are click photographs, write, read, and play football (soccer). He has even attended photography courses and is keen on taking his writing and photography skills to the next level. Ashley Lin, Assistant Editor, Adult Spotlight Interviewer, and Poetry Editor, is very passionate about bridging the opportunity gap for students from different socioeconomic sectors and believes all youth should have access to the support and resources to reach their full potential. Having caught the entrepreneurship bug early on, Ashley hopes to bring that and her love for civics and business together to drive positive social change within her community. 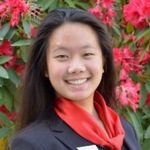 Currently, she serves as the Scholarship Director for the Kids First Project, where she works to create equal opportunities for all students, and as a state officer for Washington Future Business Leaders of America. Ashley believes that youth have an unlimited potential to give forward and strives to empower peers wherever she goes! 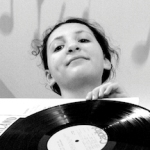 Stella Prince, Nonfiction, AK Adventures, and Global Village Editor, is 12 years old and a singer, songwriter and composer. She performs regularly at the classical conservatory program, where she has studied for 5 years. Stella also plays piano and clarinet. She is a passionate writer, and has had her book and movie reviews published. She enjoys acting, reading, drawing, baking, and biking. Stella volunteers at the local animal shelter and raises money for animal and children’s charities. 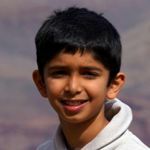 Akshaj Mehta, Sci-Tech Kids Editor, is in sixth grade in a charter school in Sacramento. He loves reading and writing fiction. He is a die-hard Harry Potter fan and read all the books twice within a few months. Many of his stories and articles have been published in magazines and newspapers. His first book, Super Mouse, was published when he was eight years old. He has also been writing for NANOWRIMO (National Novel Writing Month) for two years. 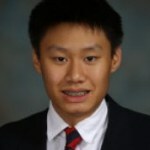 He has been a pianist since second grade and has mastered the Star Wars and Harry Potter theme songs. 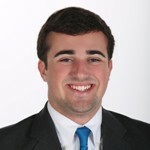 In addition, he is very active in community service activities, and in 2016, he was Hometown Hero for KFBK Radio for the month of April and won the N Factor, a local service award. He is a student council member in the middle school. His favorite subjects in school are social studies and math. When he is not reading or writing, he likes to build Legos with his favorite so far being the Death Star. 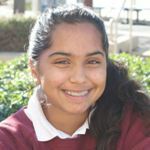 Fatima Yousuf, Money Smarts Editor and Contributing Writer, is in 11th grade and is an active volunteer and bookworm. She loves to read and study history and philosophy and to play lacrosse and basketball. She is also the founder and CEO of her own nonprofit organization, Stories for a Future, which has raised over $10,000 to provide books for underprivileged youth, run summer literacy programs, and impacted over 8,500 children. Fatima is published in and an editor of the Crown and Shield newspaper. She is active in her school’s Speech and Debate team, Model UN team, Student Affairs Board, and many more. Fatima loves to read in her free time and frequently volunteers for her library. 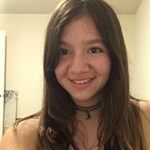 Daniela Santos, Contributing Writer, is a 13-year-old from California. She is interested in horror stories, stories being told in a diary type of style, and comics. She has had multiple stories and poems published on Amazing Kids! Magazine; she will publish additional writing in the upcoming year, along with art. She has been drawing since she was very small and got into writing in fourth, fifth, and especially sixth grade. She really wants to write a book and knows that one day she will. She has been a violinist since she was eight years old; she currently plays violin, viola, and double-bass and is teaching herself cello, piano, and guitar. Daniela is a straight-A student, part of the East Bay Center for the Performing Arts, student council president, and seventh-grade representative for her middle school leadership program. Accepting applications now for Contest Coordinator, Movie Reviews Editor, and Contributing Writers! If you are interested in any editor position, please let me know. Apply to editor@amazing-kids.org.